After one year without any update I finally found some spare time to update minor things, while another update is comming too. Only few things changed now. Mainly you will notice a downgrade of the grip of the track. I made this becouse laptimes were much faster than real life laptimes. Also Albert MCsaltens updated his Track Cameras with much better ones. SCM file modified with little minor changes to improve FPS (for me was the same, maybe low specs pc will notice more). AIW problem fixed. No cars dont stop when aproaching S/F line. Another update are the advertise of the track. First, I want to say thanks to Ivan Platas an Epsilon Euskadi/METCA for his support. They were glad to send me some logos to add them to the track. Second, You will see some advertise that say "Your advertise here?". There is a new system to add your personal logos to the track in case you want to do it or use the track for private leagues. 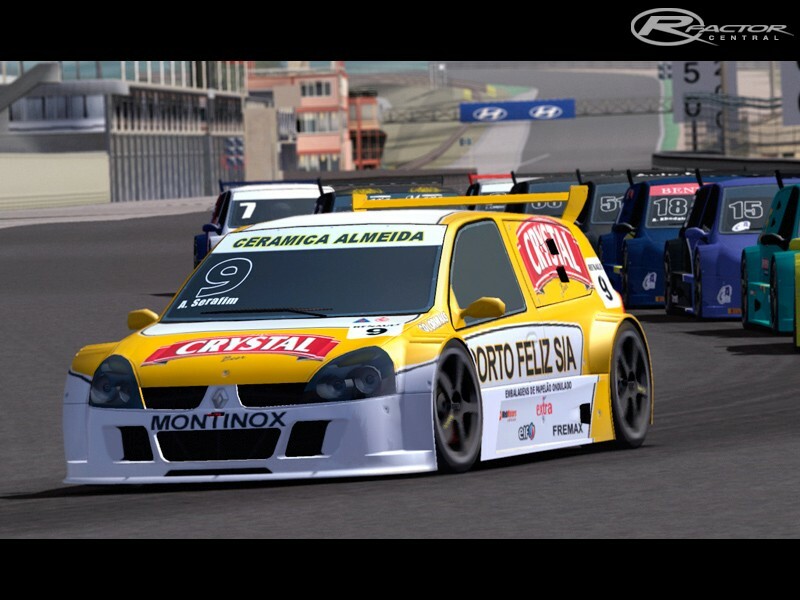 Just create your image with a size of 256x256 or 512x512 or 256x512 and rename it to AdLogo1.jpg or AdLogo2.jpg (there are different panels for each logo) at the Gamedata/Locations/Jarama folder and next time you launch the track you will see them. There is another update comming for tyre barriers and guardrails. At last... I can say this is a sort of 1.0 Version beside a few minor bugs. AMRHarry "Alfredo" for this amazing model. Javier Ranz for his testing, friendship and walkings around real track. MaxMotus for real feedback from real racing. Yoshimura for real feedback from real racing. Albert MCsaltens for his Track Cameras. All the ppl who replied at RSC. -AI doesnt accelerate on main straight near S/F line (or at least they didnt before I runned the AI track learning, so maybe now it´s solved as for me was OK). -Close the game if you have it running. -unzip the file into /Gamedata/Locations Folder. -Start the game. The track will appear named as Jarama Circuit. -Track appears as Trofeo Race de Turismos under MatchMaker, as Trofeo Race de Turismos (TRT) is a very famous meeting at Jarama. Track works with any mod. There are currently no setups for Jarama. Add a Setup. creo que te has pasado un poco rebajando el grip... como podría subirlo un poquito? en otras palabras, creo que el grip de antes estaba bien. quizás con un 5% menos de grip, o un 3%... pero un 10% lo veo demasiado. oigo las ruedas chirriar en cada curva y las consumo en menos vueltas de lo que me pareceria realista. Estuve probando con distintos coches y con el que mas pruebas hice fue con los F3 de ISI. estuve haciendo 1.32-1.31 sin forzar y sin setup. Con otros coches de otros mods, incluso coches de serie, bajo de los 2 minutos, cosa que no creo que sea tan facil de hacer en la vida real por eso lo baje un 10% el grip. Gracias por la aportacion al la nueva remodelacion del Jarama... Chacal!! Es perfecta yo voy alli de vez en cuando a quitarme las espinas.... Lo que pasa que ya sabes lo caras que son las sesiones... y lo pokito que duran...!!! Cuando mas agusto vas... ya estass fuera... Gracias por el aporte. Great Work !! Great Track !! fantastic..
what mod is the one on the first screenshot?